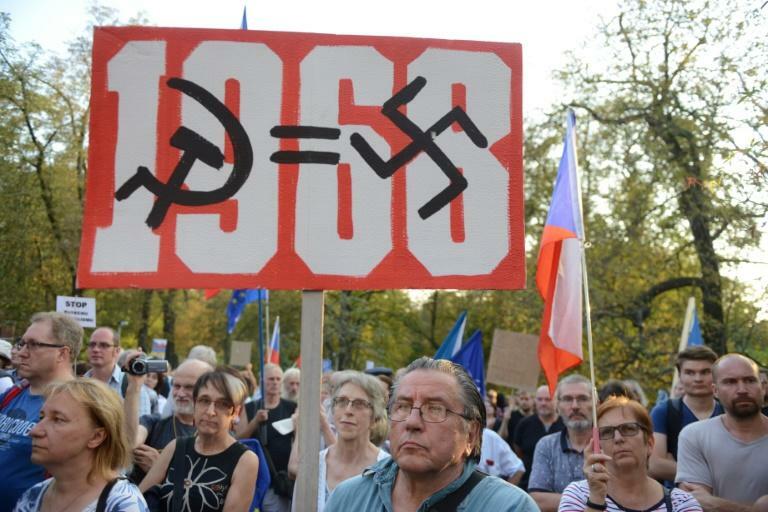 Czechs and Slovaks on Tuesday marked 50 years since Soviet tanks crushed the "Prague Spring" democratic reform drive, as protesters used the anniversary to rail against the current Czech government's ties to the Communist Party. Hundreds paid tribute to the victims of the 1968 crackdown at ceremonies in Prague that also drew demonstrators chanting "Shame!" as populist billionaire Prime Minister Andrej Babis spoke. 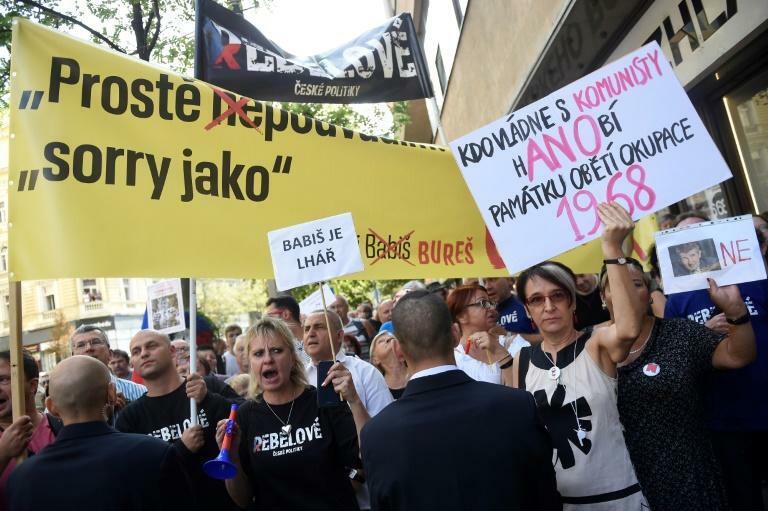 A party member in the 1980s, Babis has denied allegations that he served as a regime secret police agent before 1989. "He who governs with the Communists disrespects the victims of the occupation of 1968!" read posters held by protesters in front of the radio station in downtown Prague where around 15 unarmed people, mostly youths, died trying to prevent the Soviets from taking the building. The burgeoning "Prague Spring" movement, led by Communist Party leader Alexander Dubcek, had tried to put "a human face on socialism" through democratic reforms to Czechoslovakia's totalitarian regime. 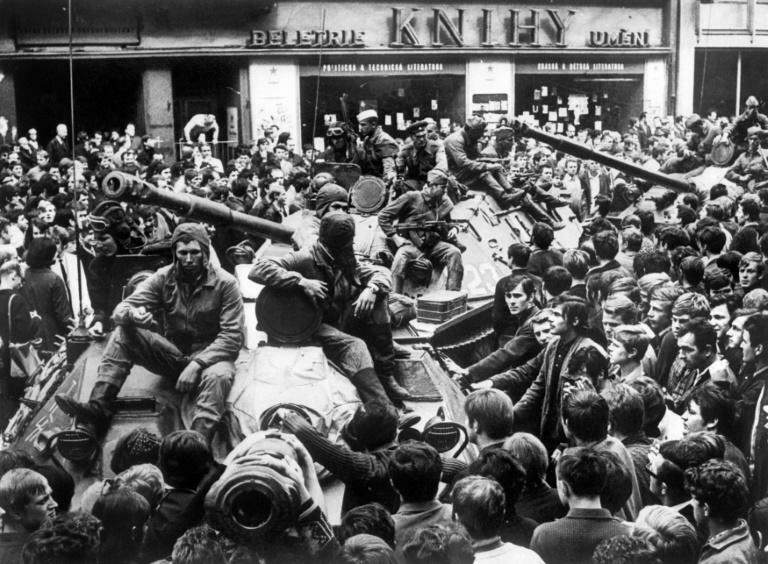 But on the night of August 20-21, 1968, Soviet soldiers backed by Bulgarian, east German, Hungarian and Polish units brutally put an end to the movement. Around 50 Czechs and Slovaks were killed on the first day alone, while the total number of victims of the Soviet occupation was 402. The last Soviet soldier left Czechoslovakia only in 1991, two years after the Velvet Revolution that toppled totalitarian communist rule -- and two years before the country split into the Czech Republic and Slovakia. At night, local pop stars such as Marta Kubisova performed an outdoor concert at Wenceslas Square in Prague. In 1968, Kubisova openly took part in the Prague Spring and later sang the era's most famous song "Prayer for Marta," whose lyrics include: "Let peace remain with this country / Malice, envy, hate, fear and contention / Let these pass away." With the country back in the grip of loyal communist leaders who followed Moscow's line, the song was banned and Kubisova silenced. Kubisova joined the dissident movement and became close with playwright Vaclav Havel who headed a human rights group and later became the country's first post-communist president. Slovak President Andrej Kiska used the occasion to talk about democratic values and the importance of belonging to European institutions. "Democratic political leaders have the duty today to defend our freedom, our possibility of making decisions about our future without fearing that these decisions will be suppressed by brute force," Kiska said in a statement, also aired on Czech television. "That is why we need allies with the same values and the same respect for freedom, human rights and democracy. We have such allies and partners in the European Union and NATO, two pillars of our prosperity and security." But Czech President Milos Zeman, an ex-communist who is known for his pro-Russian views, decided not to attend the commemoration ceremonies -- a move slammed by rightwing opposition parties. His spokesman Jiri Ovcacek replied that Zeman already "showed his courage by publicly opposing the occupation in 1968". "It's a crucial subject for us: the pro-Russian president, the populists' electoral win, the government backed by communists," said Tomasz Peszynski, an activist from the pro-EU citizen's initiative "Pulse of Europe". "We can see the harmful effect of Russian propaganda, which there is a lot of in the Czech Republic." While nearly all Czechs and Slovaks condemn the Soviet crackdown, nearly 40 percent of Russians see it as a necessary defensive measure, according to a recent survey by Russia's independent Levada think tank. The proportion of Russians condemning the invasion dropped to 19 percent this year, down from 29 in 2013, according to the survey. "The poll results suggest that Russia is returning to propaganda in the spirit of the era of (former Soviet leader Leonid) Brezhnev," Levada centre director Lev Gudkov said, quoted by the Czech press.